Google Hangouts: the Gchat replacement isn't compatible with other IM platforms. 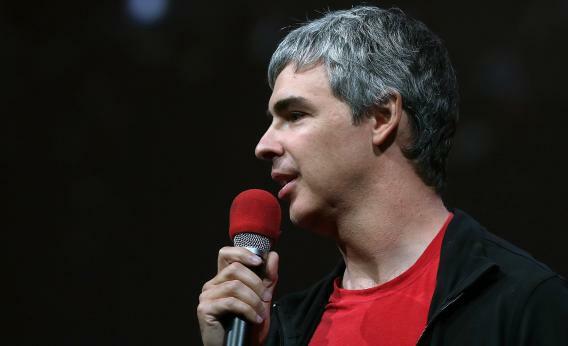 Larry Page, Google co-founder and CEO, speaks during the opening keynote at the Google I/O developers conference. Google announced this month that the company will ditch its beloved Google Talk, informally known as Gchat, for a new unified messaging app for Chrome, Android, and Apple’s iOS. It’s called Hangouts (not to be confused with the original Google+ Hangout video conference tool, which is being integrated into the new service). Some techies are excited about how the new messaging service better mimics human conversation. But with Hangouts, Google is abandoning some core, but often overlooked, features that made Gchat a hit with open-technology advocates. The new messaging service skimps on privacy—for instance, it no longer supports an option to “turn off chat history for all of your chats.” Furthermore, Google is reneging on its commitment to interoperability by no longer allowing users to chat with people connected to other instant messaging services. Google’s messaging app is now, much like Microsoft’s offerings, a more proprietary, losed technology that is not compatible with other platforms. People who use open-source messaging clients like Adium and Pidgin will no longer have access to contacts who have transitioned to Hangouts. So privacy-conscious users will have no choice but to use Google credentials if they wish to chat with someone who is on Hangouts—or they’ll be left out of the conversation altogether. The decision to make Google’s chat app proprietary comes at a time when a gigantic number of people have adopted instant messaging as a primary, daily source of communication amongst friends and colleagues. Chat apps deliver 1.4 billion more messages a day than SMS texts, according to 2013 market research by Informa. There is no date for a complete phase out of Google Talk, but when it does happen, Internet users won’t be encouraged to adopt Google—they will, in a sense, be required to do so. This might not seem like a big deal to seasoned instant-messagers who are familiar with other proprietary platforms like AIM or Microsoft Live, but none of these services engage in data collection and advertising to the same extent that Google does. All communication via Hangouts lives on Google+, and advertisers are now given the opportunity to use Google+ to increase their click-through rates by creating ads based on people’s online interactions. The potential for advertising on Google+ that instantaneously reacts based on where you are, what device you use, or what was just said is far more intrusive than Gmail’s now-familiar contextual ads. As advertising becomes more deeply integrated into online communication, it becomes difficult to distinguish between real results and sponsored ones. Proprietary software limits our potential to be creative online by cramming users into a single framework. With a company that can boast more than 425 million active users, the last thing we want is for Google to control the conversation even more. My recommendation: Hold off as long as you can. Tell your Gchat friends that if they shift to Hangouts, you won’t be coming along . TTYN, as the mean kids say.